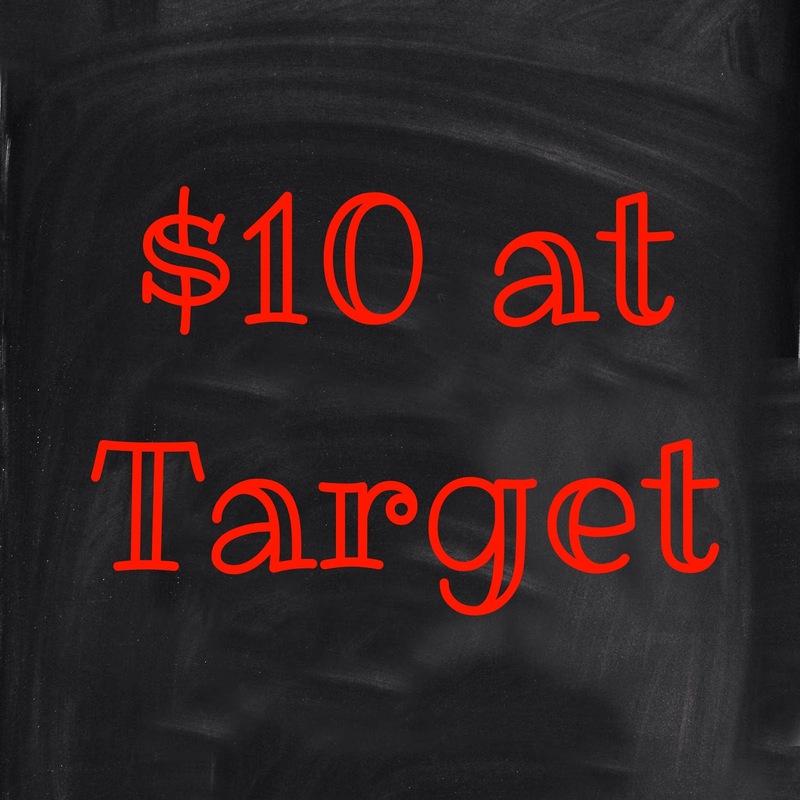 Welcome to this month’s $10 at Target! 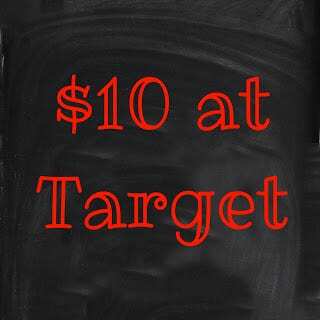 Let’s start off with a confession. . .I went to Target one night and knocked out the $10 at Target challenge twice. Oops. It was therapeutic and totally necessary as Bulleye’s Playground, formerly known as the One Spot, had just been restocked with all new goodies! So what did I get? To knock out the first $10, I was in a desk frame of mind. My desk is in our master bedroom, which we just painted yesterday (full reveal coming soon!). 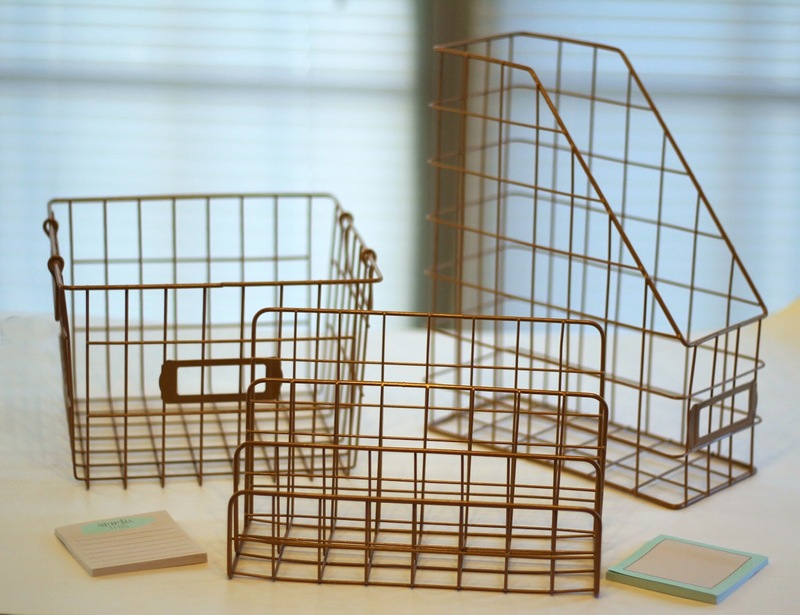 I’ve been focusing on organizing my desktop, and these gold wire desk organizers were just the things I’d been looking for. 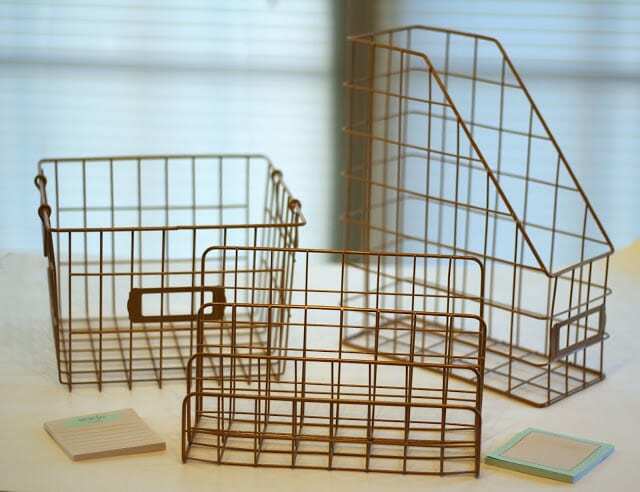 It seems that organizer items can be outrageous expensive, but these were just $3, for a total of $9. Not only are they cute, but they seem pretty sturdy too. I spent my other $1 on a cute 2-pack of mint and cream sticky notes, because I hoard office supplies. And sometimes, you just can’t help but spend another $10 at Target. Valentine’s Day decorations were out in full force, and items like that get gone quick. I love ampersands, and this sequined one was only $3. 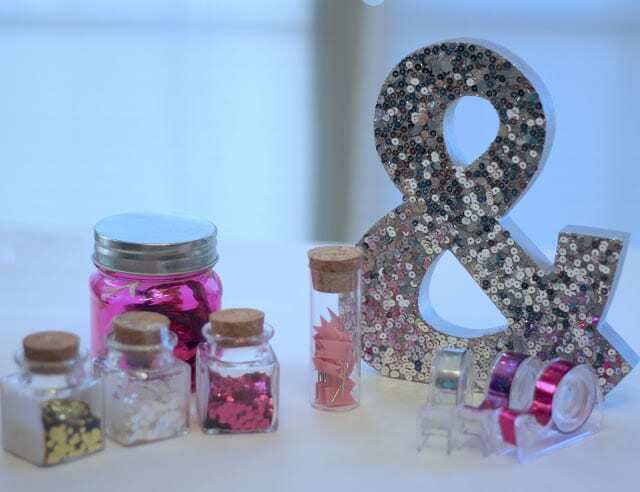 It’s around 8-9″ tall and now graces my nightstand in my newly painted bedroom:) The little pink jar was only $1. 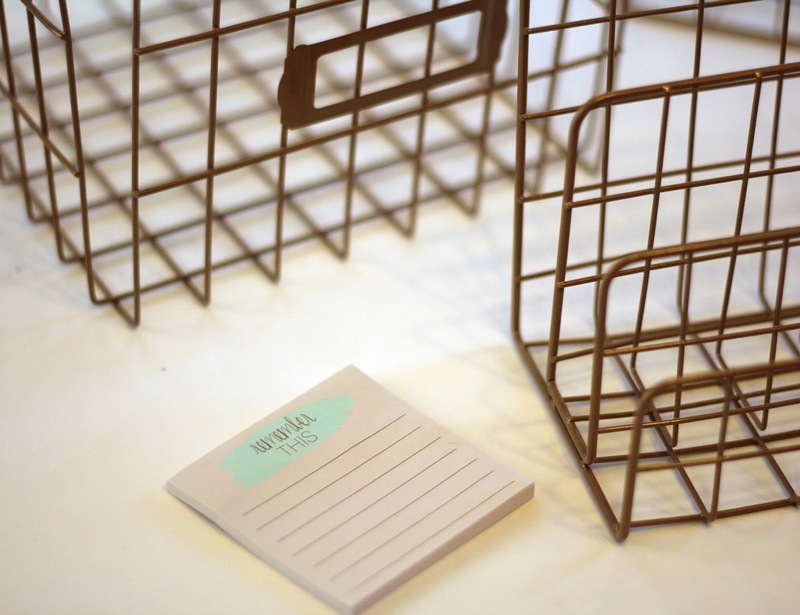 It is perfect for holding my hair ties that I’m always losing–cute + functional for the win! I couldn’t pass up the little jars of glitter for $1 each, total of $3, because everyone needs more glitter in their life. The washi tape came in a 3-pack for $1. It’s great for sealing cards and lettings with, because this germaphobe does not lick envelopes. Ew. And finally, I picked up the little banner push-pins (20 to a pack), no reason necessary. 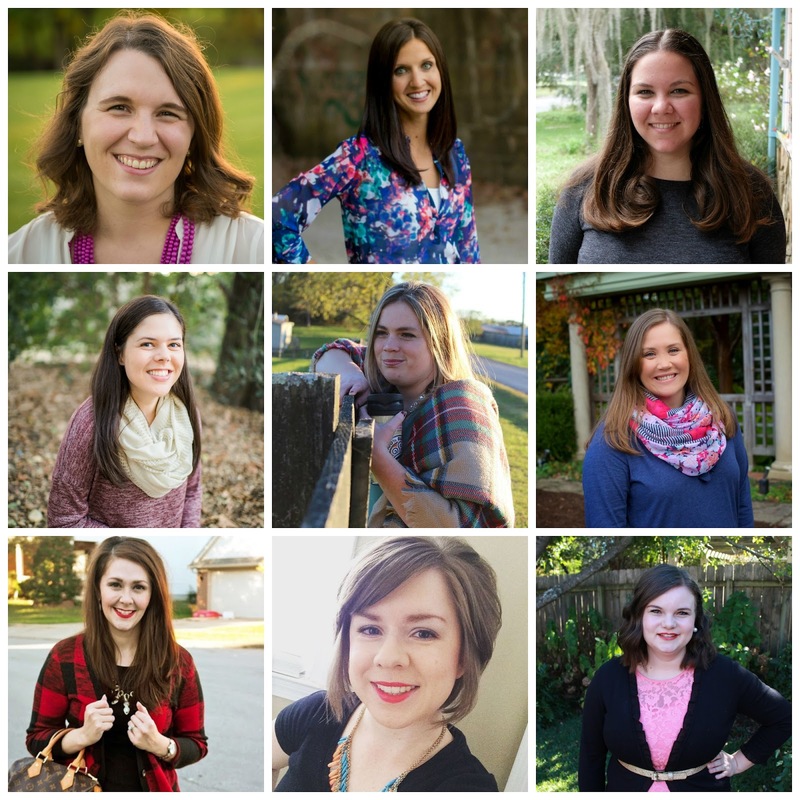 Tomorrow I’ll be co-hosting the Bloggers Who Inspire Me Link-up, so be sure to stop by and link-up your own posts this week!!! 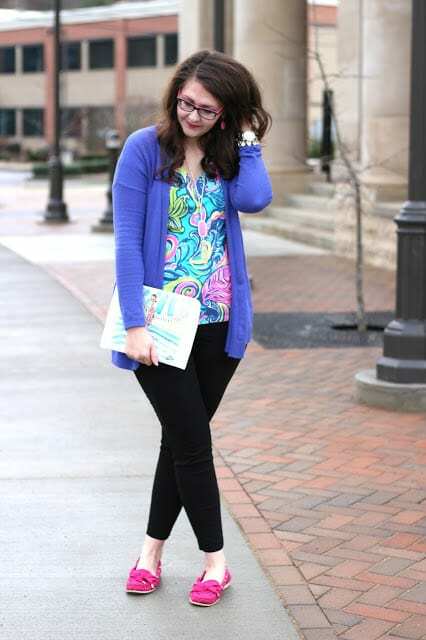 Also, I made it to the Top 25 of The Thrifty Pineapple’s outfit contest for the outfit below! 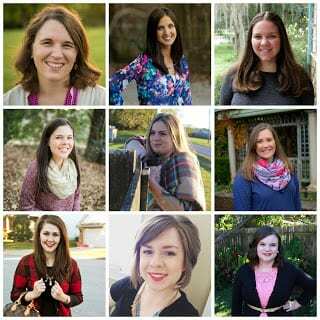 I’d love it if you head on over and vote for me so I can make it to the top 10!!! You can vote here.